This appears to be a graduation photograph of a young man identified by his inscription as J. Alfred Bicknell, 1928. The photograph was taken by the Adams studio of Portland, Maine, which is interesting considering that John Alfred Bicknell's father and brother each owned a photography studio. Perhaps the Adams studio was the lowest bidder on a package offered by the school. 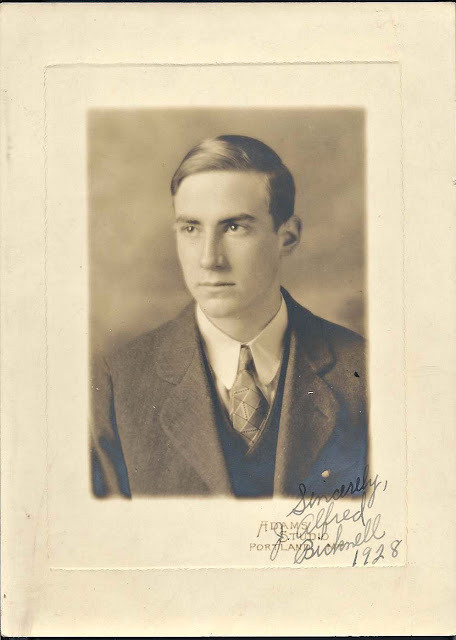 John Alfred Bicknell was born 1 July 1910 at Portland, Maine, the son of John Carlton Bicknell and Alice Hope (Coffin) Bicknell, who were born at Skowhegan, Maine, and South Beddington, Maine, respectively. Skowhegan is in Somerset County; Beddington is in Washington County. You have to wonder what the circumstances were that brought people together. 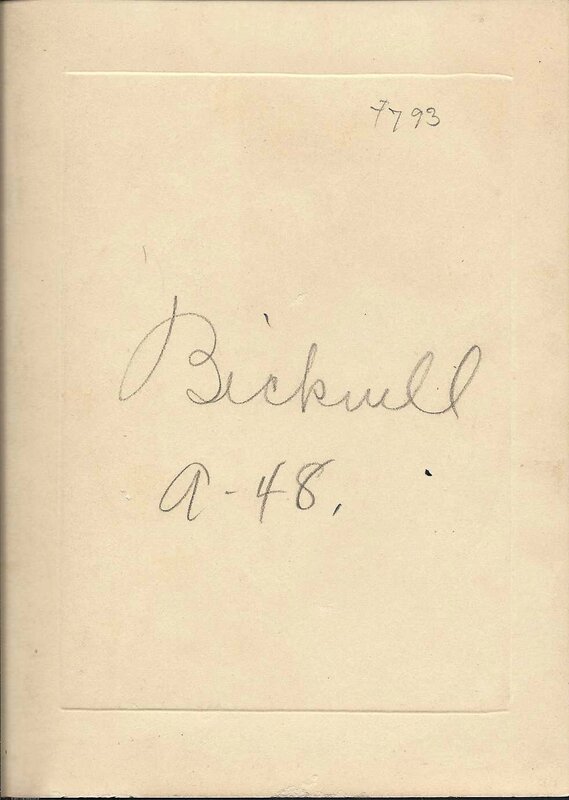 John Alfred Bicknell's paternal grandparents were John Randall Bicknell and Mary Laura (Moulton) Bicknell. His maternal grandparents were William Augustus Coffin and Ruth Emerson (Schoppee) Coffin. J. Alfred married a Madeline, possibly Madeline Foster, in the 1930s. She was born in Massachusetts. 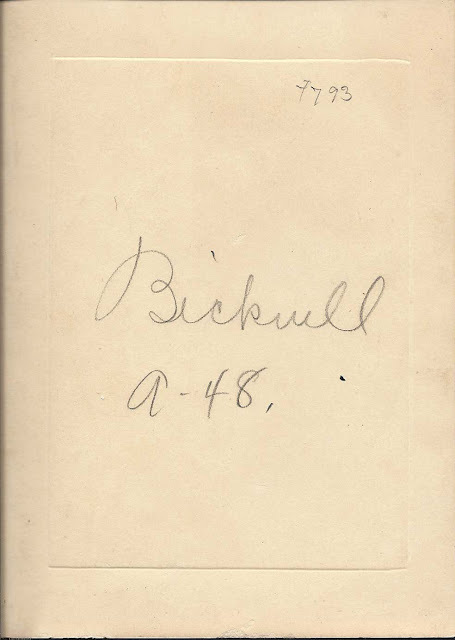 For an interesting commentary on the Bicknells and their photography businesses, see this web page which describes a treasure trove of Bicknell memorabilia being prepared for auction about 2005. It was especially interesting to learn that John Alfred Bicknell's father John Carlton Bicknell managed to become a traveling photographer in the days of heavy equipment and non-power-steering vehicles despite having lost his leg at the age of seven.